H. Barkow Co., F. Barkow Co. 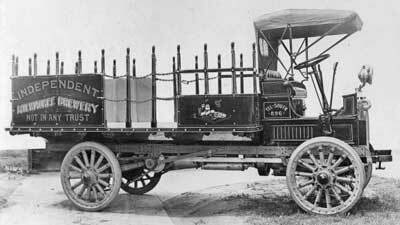 The H. Barkow Company was one of a handful of heavy truck and wagon manufacturers active in Milwaukee, Wisconsin in the late Nineteenth and early Twentieth Century. 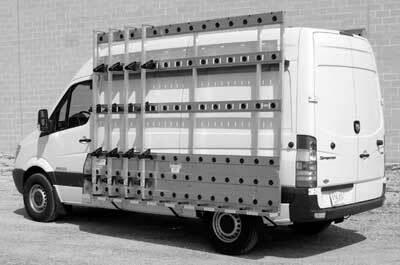 Unlike the bulk of his competitors, Barkow’s offspring successfully adapted the business over to manufacturing bodies for auto trucks and today H. Barkow Inc. is a leading supplier of specialty transport equipment for the glazing industry. 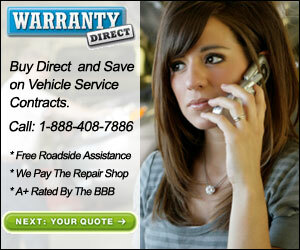 Operated nationally with four branches in Milwaukee, Wisconsin; Upland, California; Norristown, Pennsylvania; and Lancaster Texas. Its founder, Herman August William Barkow, was born in November of 1844 in Kammin, Mecklenburg-Vorpommern, Germany to Johann and Sophie Fredericke (Damstreich) Barkow. 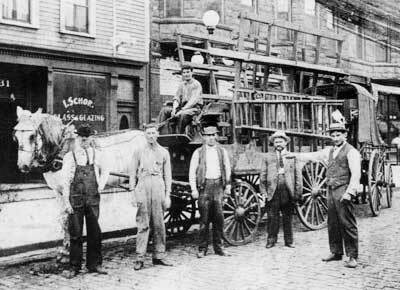 Trained in the Friedrich Krupp works as a wheelwright and wagon maker, he emigrated to the United States in 1869 and took a position with a currently undiscovered Milwaukee wheelwright and wagon builder. In 1872 he was united in marriage to 21-year-old Wilhelmine aka ‘Minnie’ (Schmidt - b. Jul.1850-d.1924) another recent German immigrant. Over the next two decades their union was blessed by the birth of eleven children: William F. (b.1873-d.1947); John P. (b.1875-d.1936); Frederick Carl (b. 1876-d.1934); Henry Martin (b.1878-d.1957); Herman Arthur (p.1880-d.1917); Arthur (b.1883-d.1885); Edwin Gerhardt (b.1885-d.1934); Wilhelimine (aka Minnie, b.1887-d.19?? ); Martha Elisabeth (b. 1890-d.1893); Erwin Richard Paul (b.1893-d.1894); and an un-named female (d. at birth in 1896) Barkow. 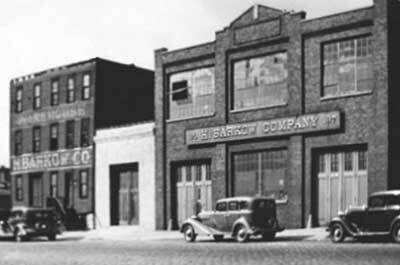 On February 12th, 1879, Herman August Barkow started manufacturing heavy and light wagons, trucks, steel wheelbarrows, and coal carts on his own accord at 193-197 Milwaukee Street. The original wooden structure was destroyed in the Great Milwaukee Fire of October 28th, 1892, but it was soon rebuilt as a two-story brick structure 60 ‘x 125’, and within a matter of months was back in operation. 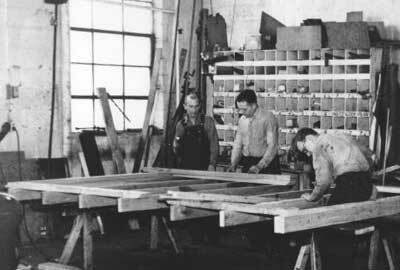 “Herman A. Barkow (65yo) wagon works; wife, Minnie S.(59yo); Gerhardt E. (24yo); Minnie E.(22yo). “Herman A. Barkow jr. (29yo) painter at wagon works; wife, Clara J. (25yo); Armond G. (4mo old). 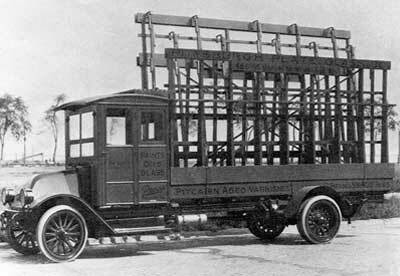 Shortly thereafter Barkow constructed their first known glazing body (sheet glass carrier) on an unknown circa 1910 truck chassis. 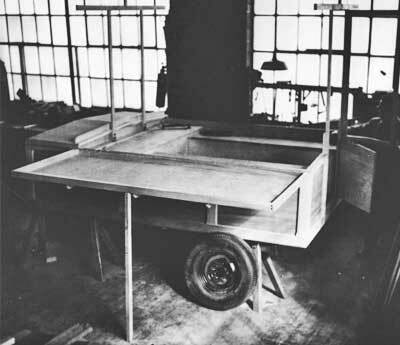 Although this early body was constructed using a wooden framework, Barkow would later expand into the manufacture of glazing bodies and trailers constructed of steel, stainless steel and aluminum. Later that year, on October 29, 1919, the senior Barkow died and his eldest son, William F. Barkow, assumed the presidency. Longtime employee John A. Giebish was elected vice-president and Fred C. Barkow retained his opposition as secretary-treasurer. 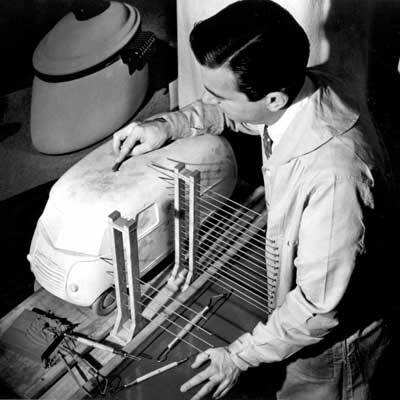 “William F. Barkow is engaged in the manufacture of automobile bodies in Milwaukee and his business is the outgrowth of one of the old-time enterprises of the city, a wagon manufacturing concern that was established in 1879. Mr. Barkow has always been a resident of Milwaukee, his birth having here occurred February 10, 1873, his parents being Herman and Minnie (Schmidt) Barkow, both of whom were natives of Germany. The mother arrived in Milwaukee in 1858. It was a decade later when Herman Barkow came to this city and here he established a wagon shop in 1879 at No. 195 Milwaukee street. He began the business in a small way, owing to his limited capital, but was progressing nicely when the third ward fire occurred and destroyed his plant. This was in 1892 and his losses were so heavy that he was again forced to establish his business on a small scale. Gradually, however, he built up the trade and the nature of the business was changed to meet the demands along the lines of automobile sales rather than wagons. 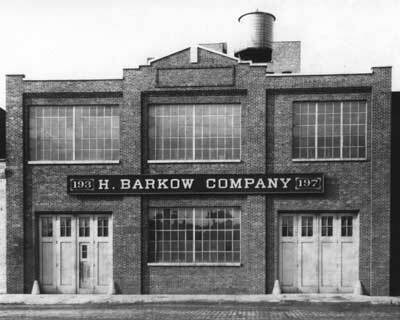 In 1914 the business was incorporated under the name of the H. Barkow Company, builders of automobile bodies, with Herman Barkow as president; William F. Barkow as vice president; and Fred C. Barkow as secretary and treasurer. Upon the death of Herman Barkow, October 26, 1919, William F. Barkow became president. Their plant covers a ground space two hundred and forty by one hundred and twenty feet and they are enjoying a notable trade, their sales having rapidly increased year by year. The business is capitalized for one hundred and fifty thousand dollars and their output is sent to all parts of the United States and Canada and to various sections of the world through the automobile and truck manufacturers. “In the year 1897 Mr. Barkow was married to Miss Ida Meschke, a daughter of Charles Meschke of Hubbleton, Wisconsin, and they have become the parents of eight children: Helen, the wife of A. J. Hess; Hilda; Esther, who has passed away; Walter; Edna; Arthur; Lydia; and Carl. The religious faith of the family is indicated in their connection with the Nazareth Lutheran church. “Fred C. Barkow, secretary and treasurer of the H. Barkow Company, manufacturers of automobile bodies and tops, was born in Milwaukee, September 17, 1876, his parents being Herman and Minnie (Schmidt) Barkow, who were natives of Germany. The mother arrived in Milwaukee in 1858. It was a decade later when Herman Barkow took up his abode in this city, where he was afterward connected with industrial activity. In 1879 he established the Barkow wagon shop at No. 195 Milwaukee street and this constituted the nucleus of the present enterprise, of which Fred C. Barkow is one of the owners. The father began business in a small way but was making gratifying and substantial progress when in 1892 his establishment was destroyed in the great third ward fire. 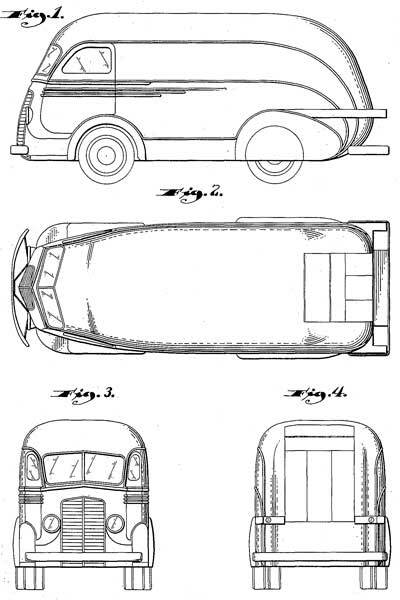 This left him with comparatively little capital, so that he was again forced to begin business in a restricted way, but he gradually built up the enterprise and continued its further development, eventually transforming the output from wagons to that of automobile tops and bodies. 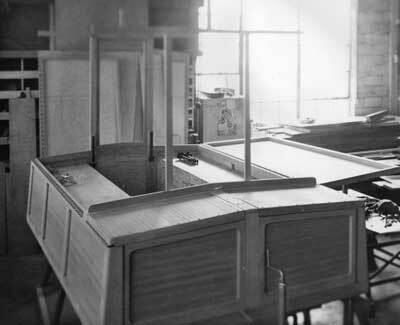 In 1914 the business was incorporated under the name of the H. Barkow Company and as such has since been continued. The father, however, died October 26, 1919. 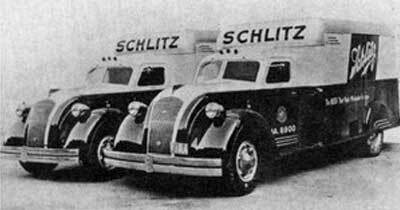 During the Depression the firm manufactured small wood-bodied convertible travel trailers, and in the late Thirties converted regular and COE truck cabs into crew cabs. 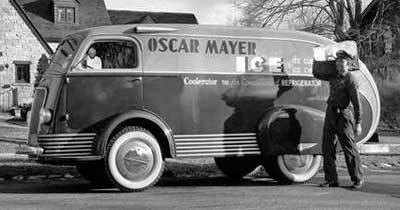 “With the addition of a new custom built ice delivery truck, the Oscar Mayer Ice Service of Madison, Wis., has definitely taken another step toward providing its customers with a completely streamlined service. The new truck, of which illustrations are reproduced below, has already attracted attention both locally and nationally. 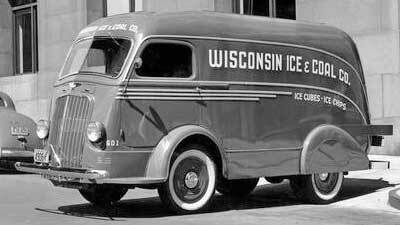 The truck was constructed by the H. Barkow Co., of Milwaukee, and designed by Brooks Stevens of Milwaukee, industrial designer in collaboration with officials of the ice company. The unit, according to Glen F. Weld, ice service manager, was designed for maximum eye appeal and while the streamlined appearance is extreme, no sacrifice in capacity was made. 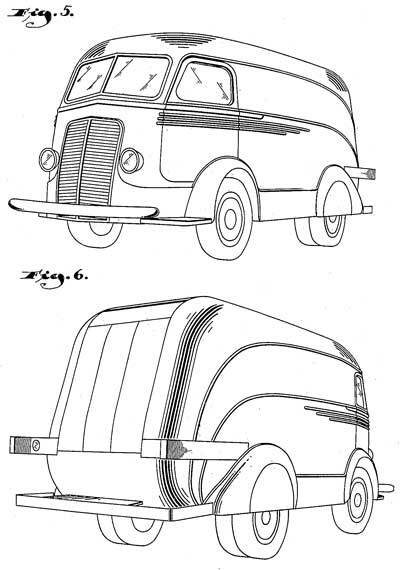 The careful handling of curves, mouldings, fenders and paint scheme, helped to create the streamlined appearance and to give the truck an illusion of length and decreased height over its short 99-inch wheel base. Chromed side lights, wheel discs, and mouldings, together with white-walled tries and careful balancing of the paint and lettering scheme, give the truck a distinctive, refined appearance. “‘This streamlined ice-delivery truck sets a new pace in modern customer service,’ says Joe Iverson, driver of this new International, which made its appearance on the streets of Madison, Wis., last November. 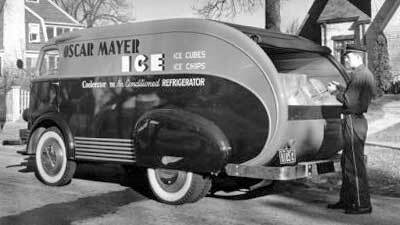 “'The truck’s unusual design and its striking color combination must be the attraction that causes people to gather around whenever I stop to make an ice delivery,' Iverson said. The short wheel base and cab-over-engine chassis gives him clear vision and enables easy turning of the truck even in crowded areas. 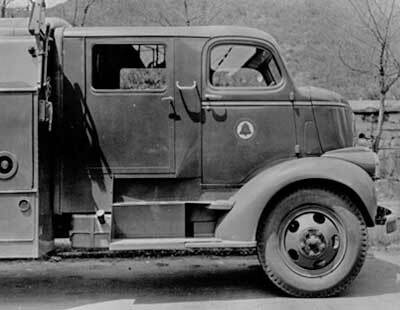 “The new unit was designed and built over an International cab-over-engine 99-inch wheelbase truck. The body is insulated with a 2-inch Dry-Zero blanket in the walls and a corkwood and welded metal floor. The telescopic covering is effected through a rolled water-proof canvas cover over the streamlined tail which folds up to a three-piece, sliding wood cover over the flat area on top. This enclosed area will keep the ice clean and well preserved during delivery. 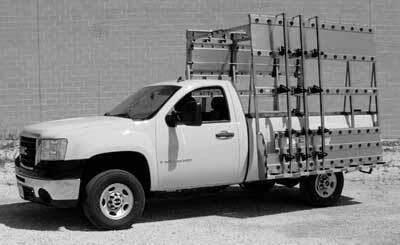 The body has a waterproof veneer interior and is equipped with side rails, floor racks and a drain. Fred C. Barkow’s son, Alvin H. Barkow (b. Feb. 12, 1906-d. Aug. 4, 1888), assumed ownership of the firm during the Second World War. In 1947 his brother, August G. Barkow (b.1908), resigned to establish his own firm that specialized in the manufacture of shipping boxes and containers. The August G. Barkow Mfg. 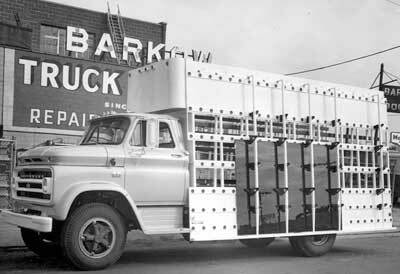 Co., 2230 S. 43rd St. Milwaukee, Wisconsin later engaged in the manufacture of refrigerators – ‘Ben Bar’ – and air conditioning units – although export packaging & international freight forwarding remained their primary focus. A 1980 listing provides the following officers: President, Richard C. Barkow; Vice President, R. F. Barkow; Export Manager, Joseph A. Visintainer; Purchasing Agent,- Jack Lindstrom. “Big John Weise is with us today. I say ‘Big John’ because he’s a big guy. His business is called F. Barkow, Inc. He helps get glass windows safely to factories and construction sites. This company has been doing this for 125 years. They have gone from horse-drawn carriages to now make products for trucks to move glass. Today Barkow glass carriers and their exclusive glass holding system, featuring patented BARKLEATS®, BARPADS® and STAKE-LOC®, are specified and shipped around the world.